All customers want to receive time-to-value as quickly and as efficiently as possible. The good news is that leading P2P capabilities can be deployed in a short amount of time. 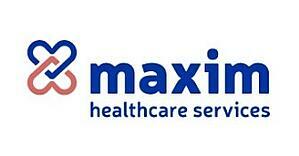 Maxim Healthcare Services suffered from a P2P solution with low supplier adoption and increasing fees. With each new release, the system became more time-consuming and difficult for their end users. Needing a change, they partnered with Ivalua and OPTIS Consulting for a new P2P implementation.